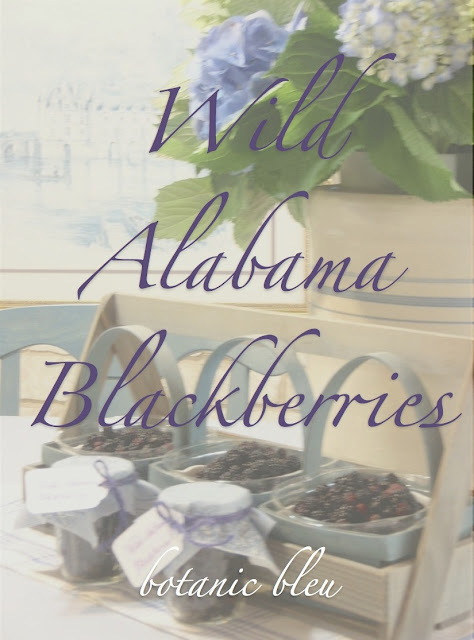 Wild Alabama blackberries ripen in the warm June sunshine and have been part of my life as far back as I can remember. 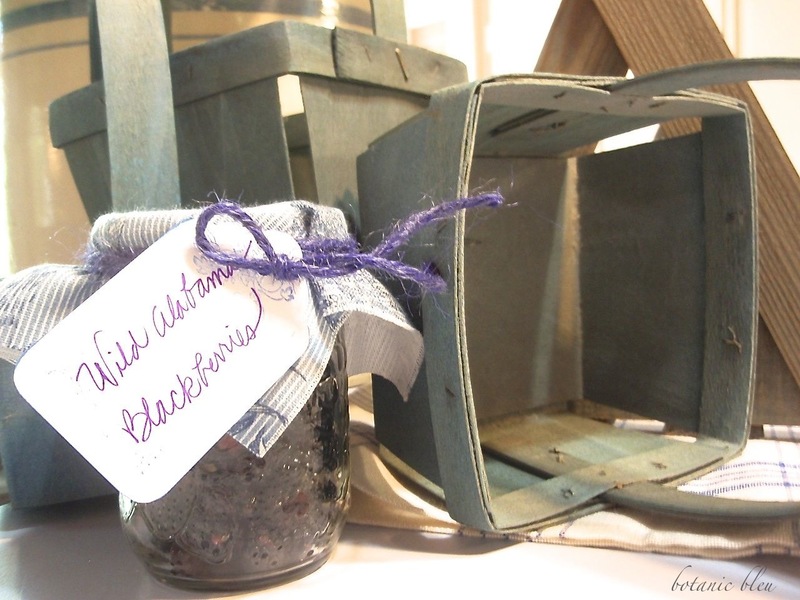 My grandmother, then my mother, were the true blackberry pickers in our family. With nimble fingers stained purple, they picked the berries each summer, filling bucket after bucket, while keeping a wary eye out for hornets and snakes that also were attracted to the wild tangled thorny bushes found in the hedgerows that separated cotton fields. Summer dinners and suppers sometimes included fresh berries in milk or sometimes just simply a bowl of fresh berries dusted with sugar that formed a sweet syrup. In the South, dinner is the midday meal, and supper is the evening meal. 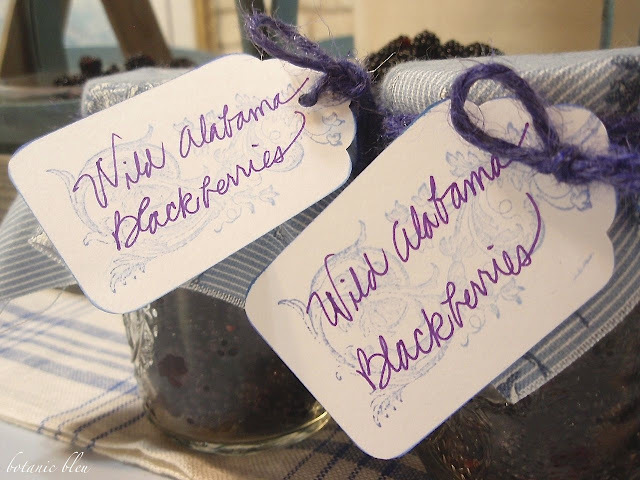 Wild berries are small and packed with intense flavor not found in the large cultivated blackberries sold in grocery stores. Just as you've never tasted a real tomato until you've eaten a home-grown one, you've never tasted blackberries until you've tasted ones growing in the wild. Hydrangeas grown in my mother's flower beds bloom during blackberry-picking season. Hydrangeas and blackberries... one tame in the yard and lovingly tended all year; the other wild and lovingly harvested in June. Both staples of my mother's southern home and hospitality. There were always more than enough berries to share generously with extended family members, neighbors, fellow church members, or "anyone who slowed down long enough" to receive some. None went to waste. What wasn't eaten, was canned for the dark winter months. 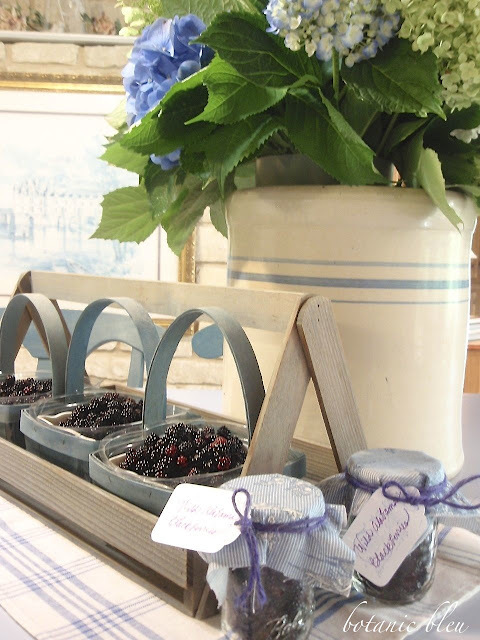 Some jars were filled with berries in sugar syrup for cobblers; other jars were filled with sweet blackberry jam to spread on homemade biscuits for breakfast. Most of the time, blackberry cobbler was how we ate the fresh blackberries. Mother made a simple cobbler. First, butter melted in the pan, followed by a batter of flour, milk, and sugar, and then topped with blackberries in a sugar syrup thickened by boiling. The batter rose through the berries as the cobbler baked, creating a browned crust on top of the juicy berries. This June was Mother's last blackberry season, but she did not pick any. Rather, after a full week filled with puttering in her garden, planting yet another hydrangea to fill a bare spot, going out to lunch every day with me visiting from Texas, celebrating her 85th birthday with her favorite coconut cake made by her sister-in-law, visiting with her three brothers, having her last supper with my brother's family and me, and going to bed upbeat, happy, and feeling good, she passed from this life as she wanted... peacefully in her sleep. 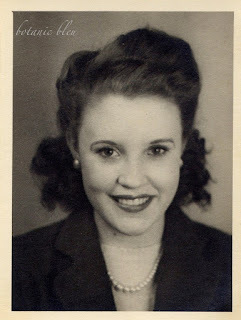 The loving southern Christian hospitality she exemplified and taught all of us lives on. My sister-in-law is the keeper of the family tradition of blackberry picking now. As she picked wild Alabama blackberries growing on her farm this June, she shared them with everyone "who slowed down long enough" to receive them in the true southern-generosity tradition. These two jars are ones I gave my dear friends who lovingly cared for our cats while we were in Alabama saying our goodbyes to Mother. Blackberry Winter now includes another dimension to its definition for me. Please join me at these inspiring sites where I am honoring my mother with this tribute. 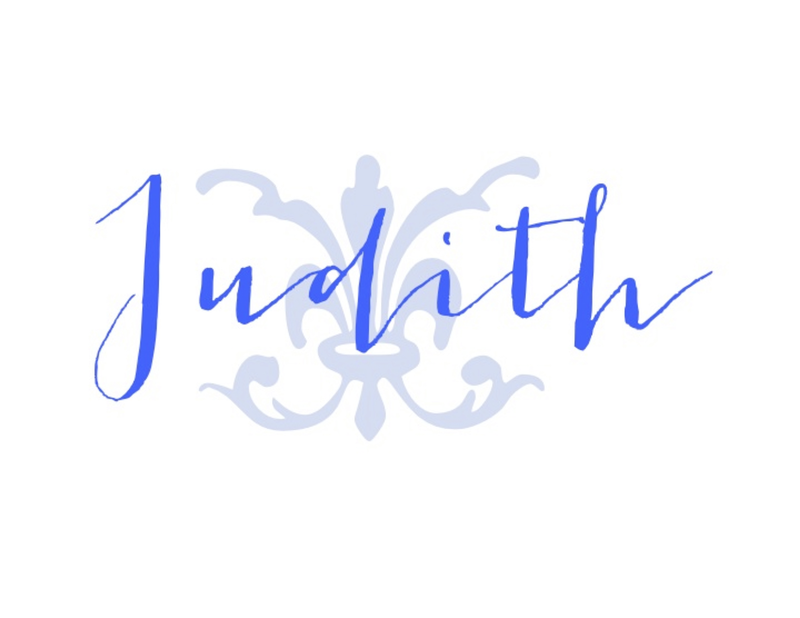 BONJOUR JUDITH! HOw lovely it is to see your new post! 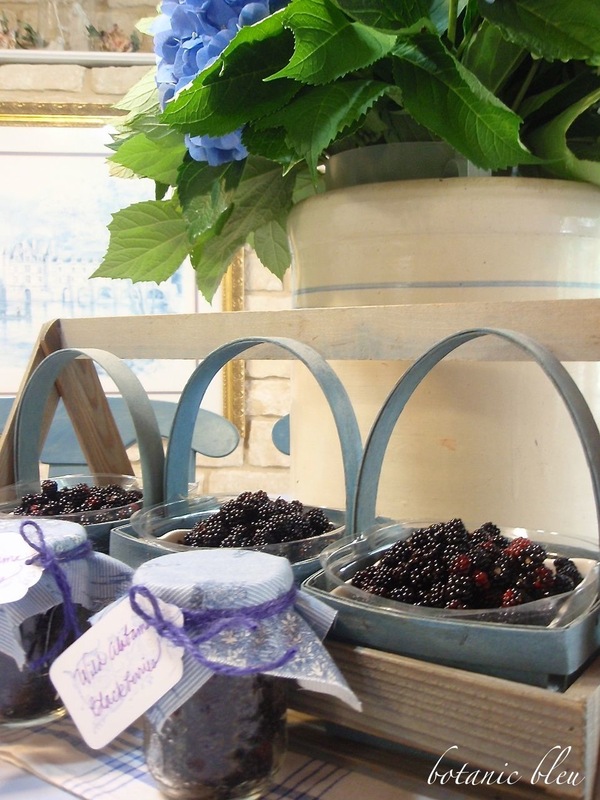 Blackberries....any berry for that matter sings summer, and what fond memories you have of this ritual of harvesting. Your mother, what a beautiful woman! The earth yields such gems for us to live by. Many a good poet has waxed philosophical and sentimental on blackberries.....Read Seamus Heaney's BLACKBERRY PICKING, or better yet, YOU TUBE him and listen and watch that gorgeous Irishman recite this lovely, thick-tongued poem about this simple life-sustaining practice of Blackberry Picking. Judith, I'm so glad you were able to spend so much time with your mother before she left this world! I know you have so many wonderful memories! She is gorgeous!! 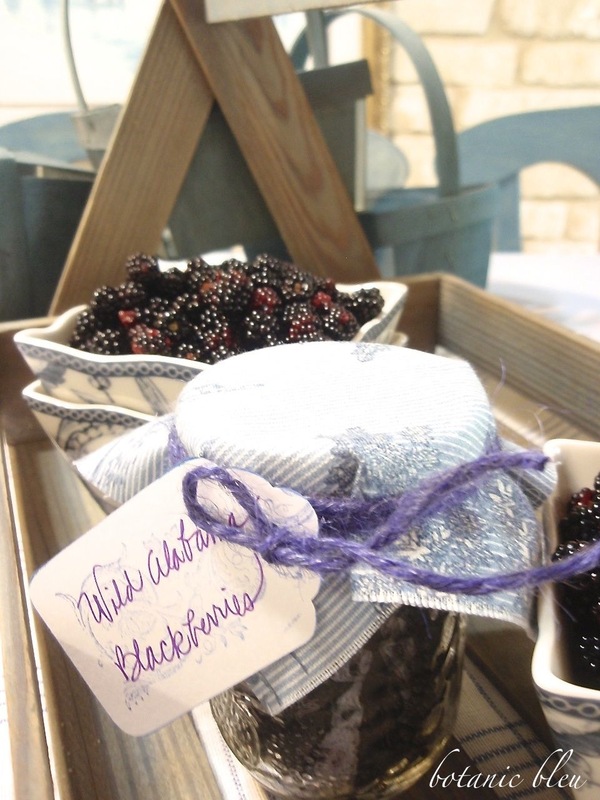 I'm envious of your blackberry haul from Alabama! 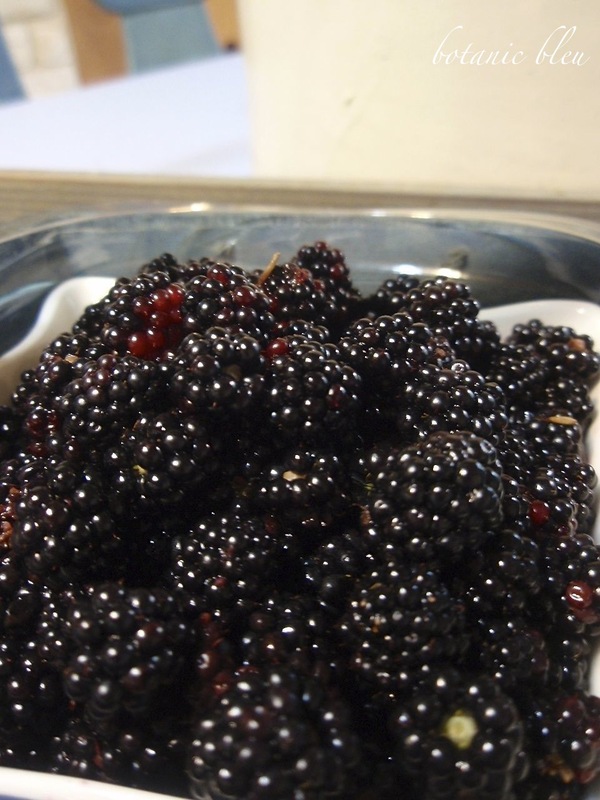 I've got to get to the Farmer's Market up here and find some blackberries worthy of your mom's Blackberry Cobbler recipe! I would love it if you could send me the details! I'm so sorry for your loss, but am glad you were able to spend so much time with her! Hugs!!! I send my sympathy and hope you will find continued comfort in the precious memories of your Mom.I loss my Mom at age 84 in June of 2010. It's all those little memories that fill our heart with love of them. Thinking about you. I suspected that sad circumstances had fallen upon you because of your blog absence. 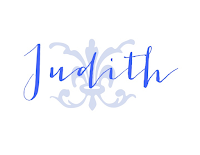 I am so sorry Judith. What a lovely tribute to your mom. Our parents shape our lives, and we can celebrate the solid values your mom modeled. I'm glad she had a long life and am grateful with you that she passed peacefully. Wild blackberries preserved in the Southern tradition are so photo worthy! Thank you for sharing. Blessings my friend! Hi Judith, awww! The morning dew that settles on a blackberry field and the scent of the misty blossoms it's a taste like none other. Guess what you opened up a memory in me as a young teen living in Washington state where blackberries grow wild and will climb a farmhouse fence filling the bush with berries galore. We moved the Washington for my stepfathers job for a few years and I fell in love with what the state offers anyone young and old. 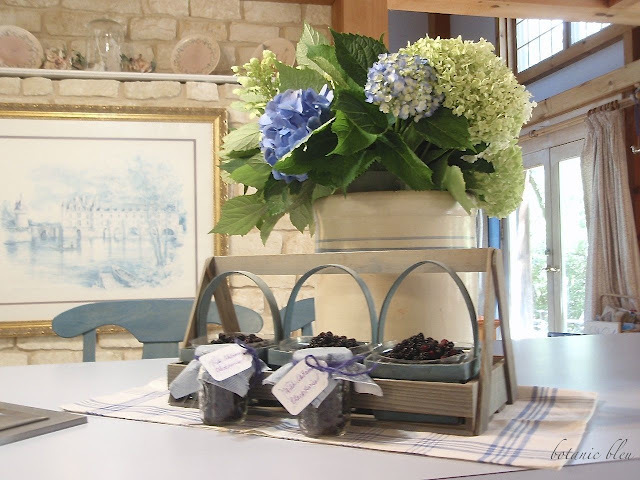 We would go and pick our way through the fields up to the wooded areas picking also buckets full of berries. And my mom along with the friends farmhouse next door would make jam as well, we would mix the berries whole in Everything, and even black berry pies were made. I would say I was the picker in our family, of course the other children in both families were as well, but the day would get the best of them and taking off to swim in the lake was more important. Thank you for awakening memories in me, and thank you for sharing your Mom and grandmothers love of blackberries with us. 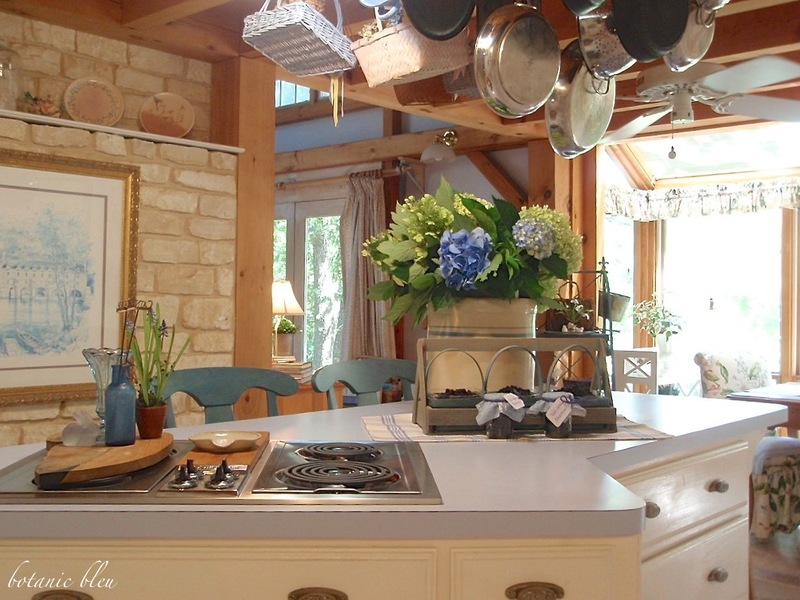 The berries presentation here is pure country Living Pure and Good. I was uncertain whether we can eat them and I would foolishly pick without watching for hornets. I am so sorry for the passing of your mother. That paragraph describing her last days, I can only hope I get so lucky, to pass away like her, in my sleep, having spent days with my relatives, children and friends. It is quite something to say a farewell to life surrounded with so much love. Again, I am so sorry for your loss but take some solace to the fact you were there, with her. How wonderful that your mother lived to be that age and pass on with such a happy week. We can only pray that we may pass on in this same way, surrounded by family and doing what we love to do. But you are left with your sweet memories and grief. Time will allow you to draw upon your endless memories of her and they will be such a dear friend to you in the future. Prayers going up for you. What a beautiful post. I am so sorry for your loss! Would that we all could pass in such a way...your post is such a wonderful tribute to an amazing woman! I used to pick black and red raspberries out in the woods and fields with my kids when they were young....the place is a MALL now, sadly. But I know what you mean about the flavor of fresh and local and real versus store bought. Judith, this is such a beautiful post. Your mother is certainly smiling with pride of her children and the way they spent her last days celebrating life with her. Going peacefully in one's sleep is what we wish for all, but as I realized with my own mother, it's still very painful to accept that our sweet moms are gone from this world. I send you my heartfelt love and sympathy for your loss, Judith. I will always think of blackberries with this beautiful tribute in mind. Blackberry cobbler, what a lovely thought. Judith, so sorry for your loss. In your description of your mother's loving care and hospitality, I saw my mother. If they had been neighbors, they would have been friends sharing back and forth the bounty of their gardens. Blessings to you all as you go on with your lives filled with memories of a wonderful mother! Just sending you a special hug. A Mom is such a hard thing to lose. I will pray for peace and acceptance for you, and special blessings as well. My heart goes out to you. I remember how hard it was the days after my father passed. This post makes me glad I call my mother at least once a day, today it will be twice. I'm so sorry to hear of your loss. You did such a beautiful tribute to your mother. My condolences. I feel blessed to have read this story about your mom. What you have written is a lovely tribute. My thoughts and prayers are with you. God Bless. What a sweet tribute to your mother. Reading this brought a silly memory to mind. I now have to call my sister! This was a beautiful tribute to your mother. I'm so very sorry for your loss.